Rabbi Dr. Ephraim Kanarfogel is the E. Billi Ivry University Professor of Jewish History, Literature and Law at Yeshiva University. He teaches at the Bernard Revel Graduate School of Jewish Studies and at Stern College for Women. Professor Kanarfogel is one of the foremost scholars in the fields of medieval Jewish history and rabbinic literature, and is the author five books and more than seventy-five articles. His most recent book, The Intellectual History and Rabbinic Culture of Medieval Ashkenaz, published in 2013, won the prestigious Goldstein-Goren International Book Prize, along with the Jordan Schnitzer Book Award from the Association of Jewish Studies here in the United States. 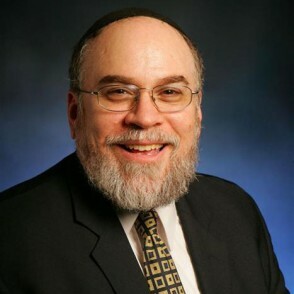 Rabbi Dr. Kanarfogel has held visiting appointments at the University of Pennsylvania and at Ben-Gurion University of the Negev, and he has lectured at leading universities throughout the world, including Harvard, Cambridge, the Sorbonne, and the Hebrew University of Jerusalem. He serves on the Executive Board as Secretary of the American Academy for Jewish Research, the premier scholarly organization for professors of Jewish studies in North America. Ordained at the Rabbi Isaac Elchanan Theological Seminary where he was a member of the Kollel, he earned his doctorate in medieval Jewish history at the Bernard Revel Graduate School. In 2002, Rabbi Dr. Kanarfogel became the first person to win Yeshiva’s Samuel Belkin Memorial Literary Award on multiple occasions. He is also a winner of the National Jewish Book award.